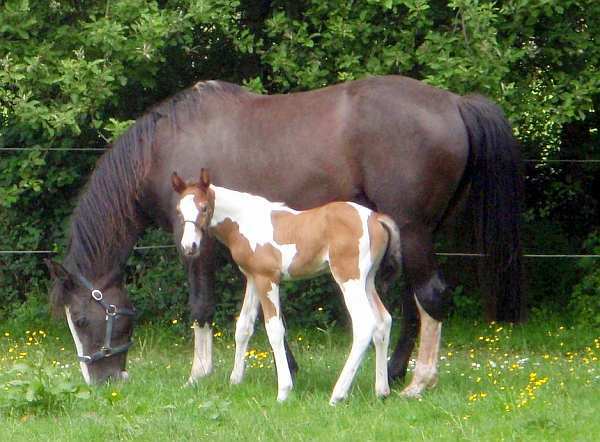 Tobiano horse Airborn - homozygous stallion at stud. 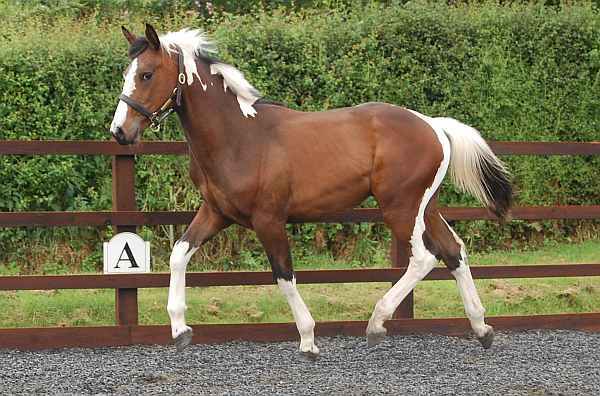 He has got the best of Dutch and Irish breeding combined, he will be the ideal sire for eventing/show jumping stock. Shovern iCloud. 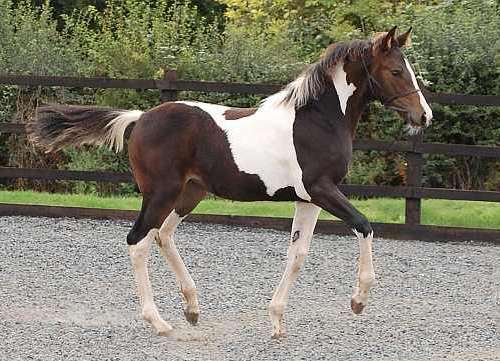 Stunning coloured colt to make 16.1hh. 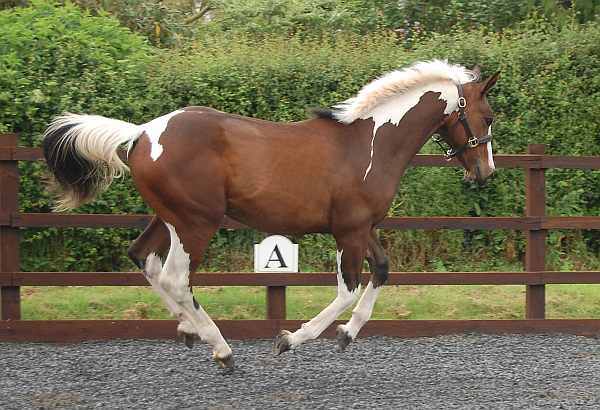 This flashy boy would excel in the show ring, although he is bred to jump! 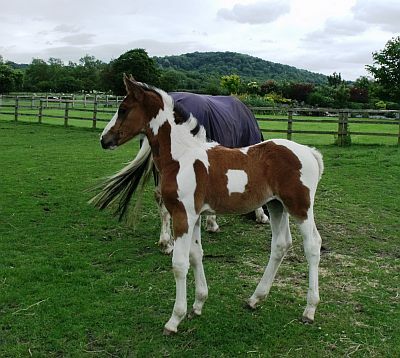 For more pictures look on foals 2013. 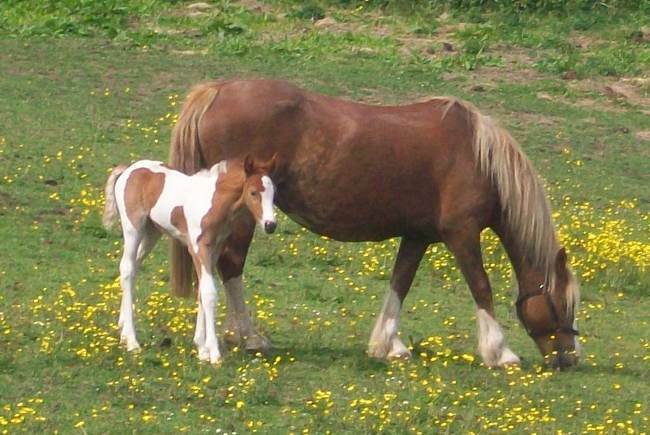 Sold to Sarah Beavers of North Yorkshire. 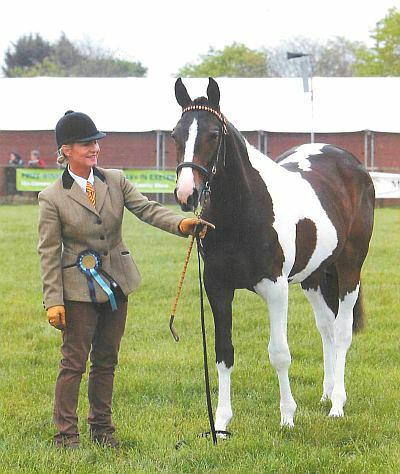 winning in the Coloured Yearling Class at The Devon County Show in 2012. 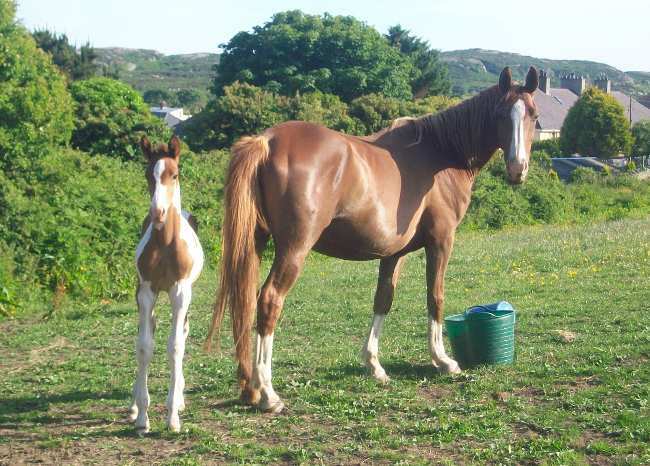 Sold to Sarah Furniss in Cornwall. 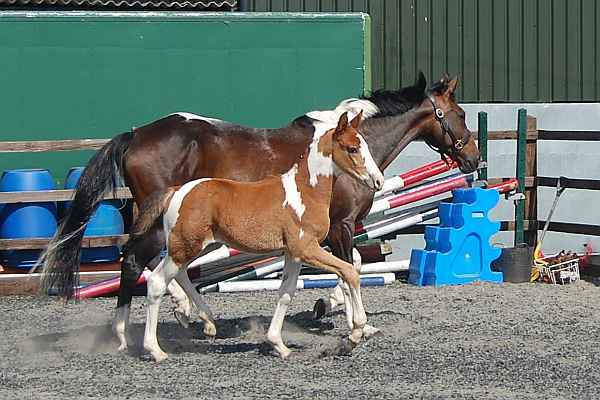 Pictures of Millette's new foal (Bertie) on his first outing. Millette's is by the Legendary Concorde! 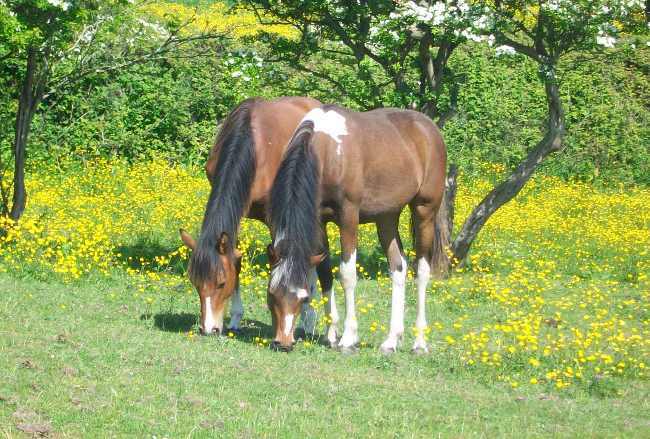 From - Gillian Hickford and Tommy. 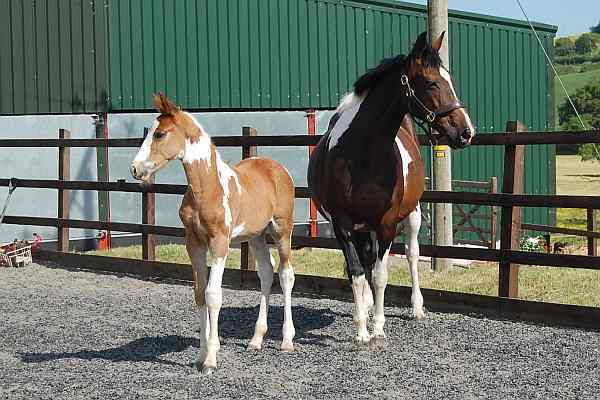 "Hi, hope all well with you, took some pics today of Tommy he was 8 weeks old yesterday. 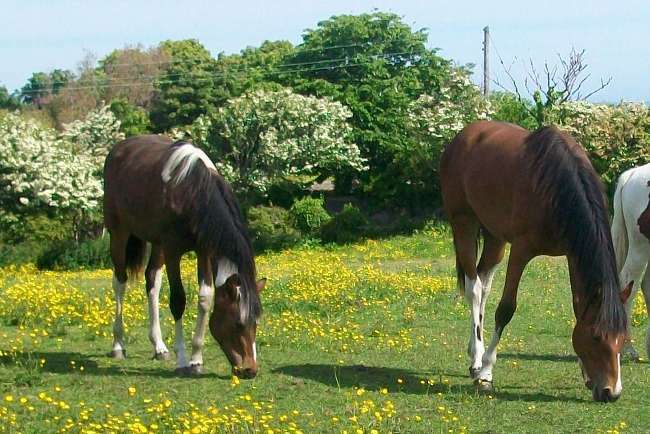 He is great and such a great person, has never lifted a leg, he is great with the dogs and really entertains everybody who comes to see him. 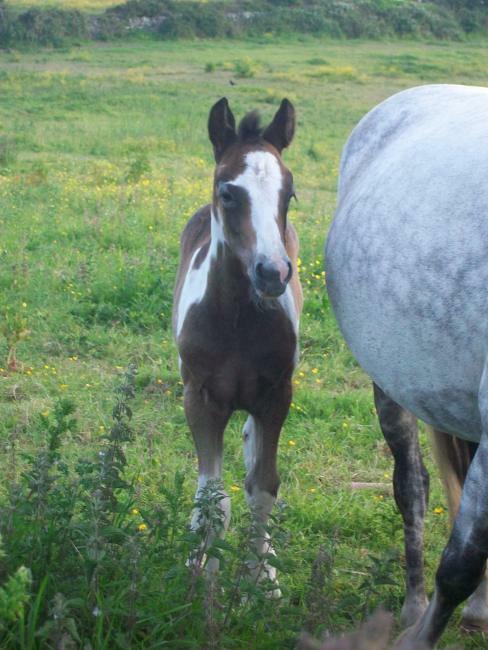 Thank you to Alex for the lovely pictures of her colt foal "Joey" by Airborn out of her show hunter mare. 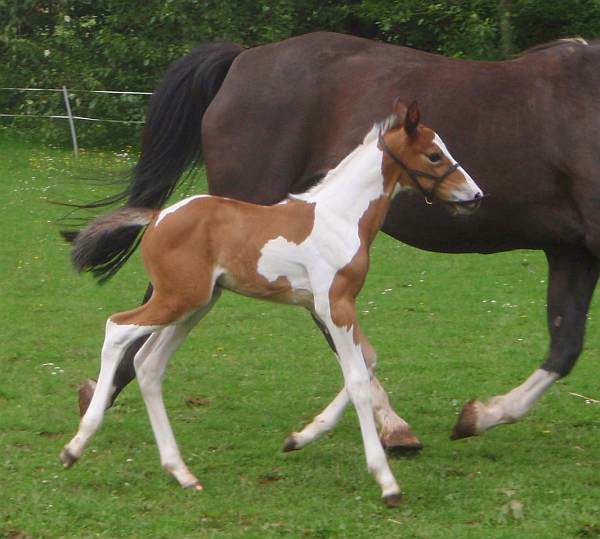 Colt foal by AIRBORN out of a warm blood mare. 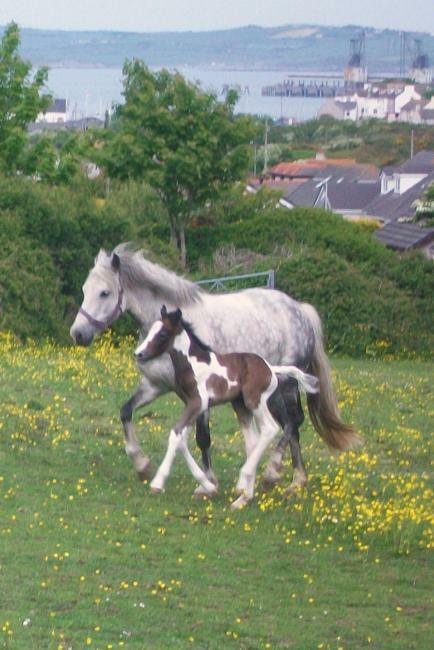 Colt foal by AIRBORN out of a Connemara X mare. 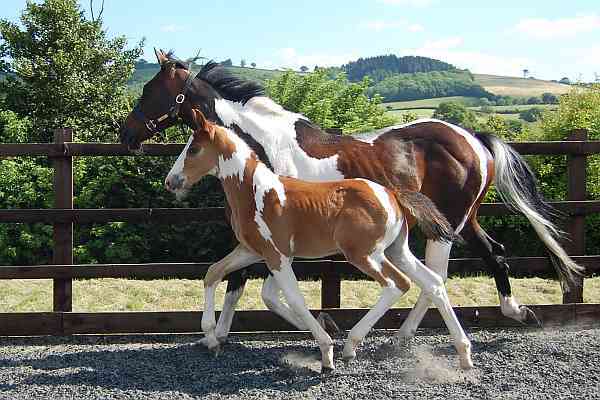 He is producing young stock that have beautiful heads an a wonderful calm temperament to all types of mare. 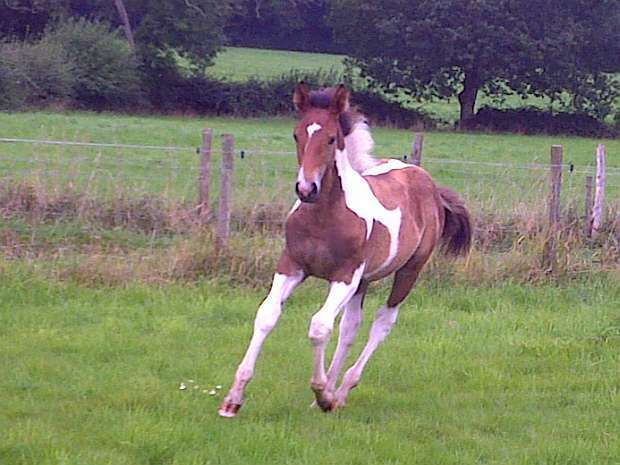 2 year old filly out of a welsh section D mare by AIRBORN. 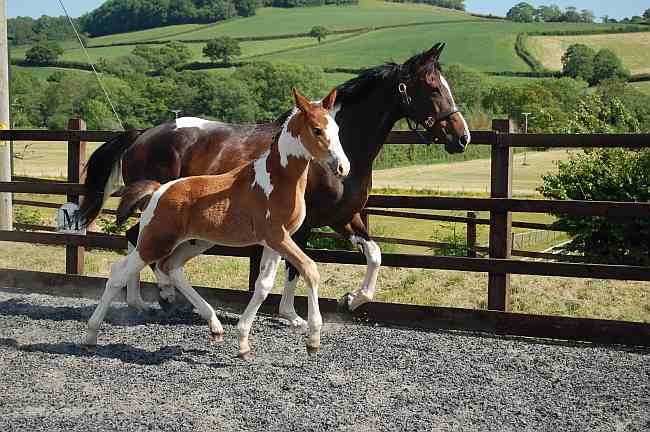 Filly foal by AIRBORN out of a Welsh section D mare. 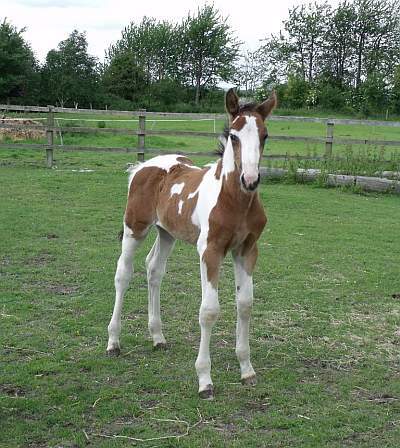 he is out of a Cloverboy maiden mare. 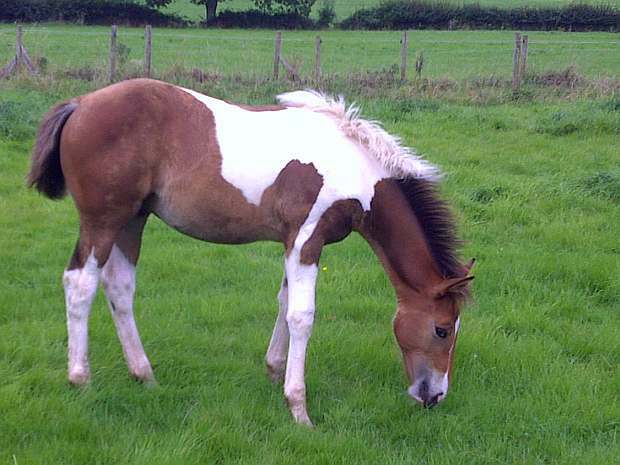 Out of a welsh section B mare. 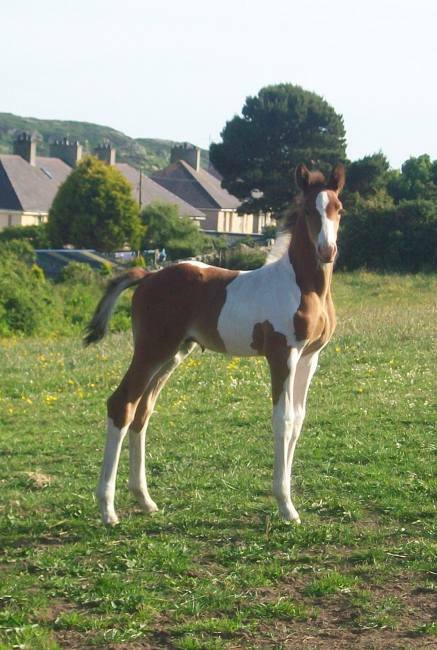 Out of a Welsh section D mare. 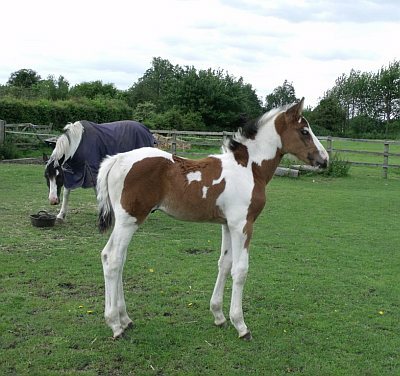 Colt out of Warmblood mare. 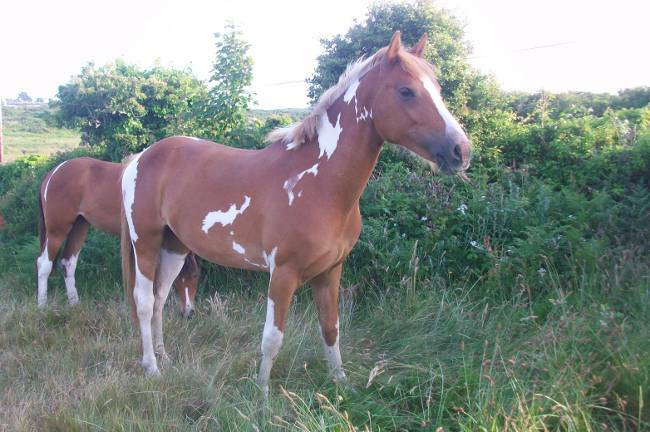 as you can see she is minimally marked and has a lovely temperament.